Salem NH – The Atlantic Championship Series is at the mid-point of an exciting season that has seen new driver entries and intense track battles shake up the field and results sheet. Now, it’s rounds seven and eight at Mid-Ohio as Keith Grant, on two victories, leads the point standings against much younger competition. Aiming for Grant’s points lead at Mid-Ohio will be Conner Kearby, who has separated himself from the pack and hopes to run down Grant’s margin over two 40-minute races this weekend. Grant has been able to consistently stay on top this season despite the efforts of the rest of the Atlantic field. As of now he has a considerable lead on Kearby with fifty points on the young K-Hill driver with 110 points up for grabs this weekend. Driving the No. 40 Polestar entry, Grant is coming off his second win of the season which came on Sunday at VIR. Not letting up this season is Kearby, who plans to take the battle one step further this weekend and try his best to advance in the points. The Texas native has had his share of triumphs as well as heartbreaks this season. He started the season off right with a second place finish in race one at Road Atlanta, only to follow that up with a first place finish in race two. Watkins Glen allowed for Kearby to pick up another second place finish in race one of the weekend. Unfortunately though the second race of the weekend had Kearby facing some mechanical trouble and he settled for a thirteenth place finish. 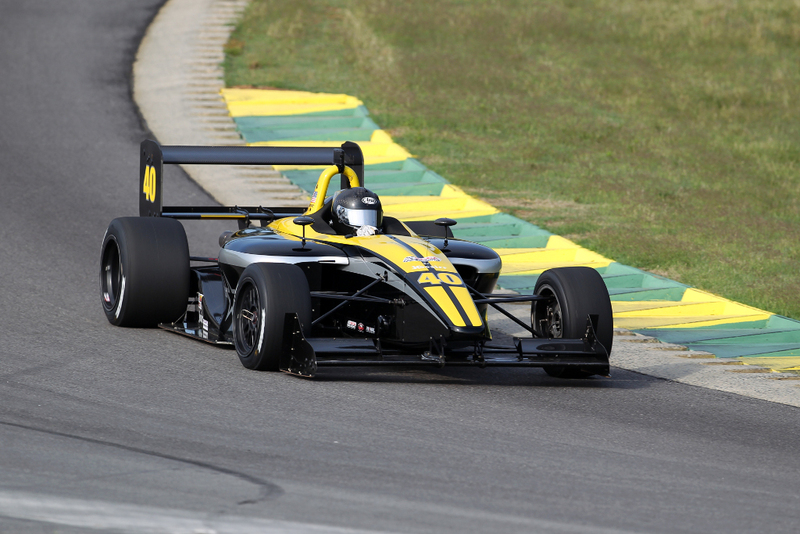 More recently at VIR, Kearby missed the podium, finishing in fourth place in both races one and two. Look for the recent high-school graduate to rebound behind the wheel of the No. 56 K-Hill Motorsports Swift 016/Mazda. Fellow K-Hill driver and father of C. Kearby, Gaston Kearby is sitting behind his son in the points at third place. He also maintains a lead over the field in the Atlantic Challenge Division. The Atlantic Challenge has yet another competitive weekend ahead at Mid-Ohio. The already mentioned G. Kearby will be adding to the Atlantic Challenge mix, along with his K-Hill teammates Bruce Crockett and Bruce Hamilton. Also in the Atlantic Challenge class will be Comprent’s Bob Corliss, Company Motorsports John Burke, as well as Lochmoor Promotions Lewis Cooper Jr. The Mid-Ohio weekend will run July 2-5, with testing on Thursday followed by practice on Friday. Qualifying on and racing will then take place on both Saturday and Sunday.